100% TESTED & TRUSTED AUTO TRADING BOTS. Find below the most trusted binary options signals sites and auto trading robots that work in 2016. 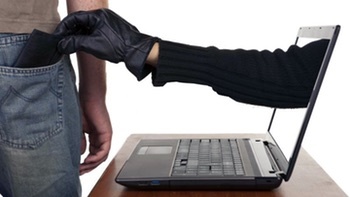 Protect yourself from binary options scams ! Unfortunately not all the binary options signals service providers and auto trading bots are honest, and sadly some of them are definitely a scam. At BinaryEarnings.com we’ve been binary traders for long time, and we’ve spend some time to test and review the most popular binary options signals providers in an honest manner. Are you not an experienced trader or expert to trade binary options ? Finding a legitimate trading signal service or robot sometimes is not an easy job, but don’t worry because we will help you to choose the best legit binary bot for sure. Get the best Free Binary Options Signals software so you can make money while you sleep. And last thing, don’t forget to subscribe you to our newsletter to get the latest scam alerts directly to your inbox ! Binary options are a financial product that, in essence, allows traders to bet on the future movement of a financial asset. In this regard, they are more similar to regular betting, like sports betting, than to another popular financial instrument bearing the same name, which is options. 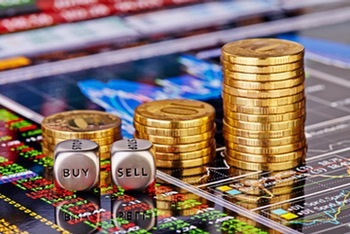 This is the reason why in some countries, particularly the UK, binary options are not regulated by the Financial Conduct Authority (FCA) but instead, are under the regulation of the UK’s Gambling Commission. In other countries, though, they are considered a financial product and are regulated by a financial regulatory body. There are only 2 possible outcomes to each bet or trade, thus, the name “binary”. The trader bets whether the price of the asset will be higher or lower than the present price after a specified, usually short period of time. If the trader is right he receives a payout from the broker, usually ranging between 70-95%, and if he is wrong he loses the amount he put at stake. While trading or betting on binary options, it’s important to know that no order is being processed to the underlying market, but rather the trader bets directly against the broker. This doesn’t automatically mean that the broker has to be dishonest, and in fact, many are regulated and payout their clients fairly and regularly. A trading signal is a trade recommendation sent out by a signal provider to their client base. The client can choose if he will take the signal or not. Aside from the call or put recommendation, the signal will likely contain, the entry price and the expiration time for the asset it is recommending to bet on. With the huge advancements in technology, signal trading has become widely available and a lot easier to implement. Usually, the traders that look for a binary option signal providing services are those who don’t have the time or don’t want to learn to trade the markets themselves. With binary options, it’s even easier since the trader only has to worry whether the price will be above or below the current price at the expiration time. Signal providers vary greatly, in pricing their services, and there are some which are free. 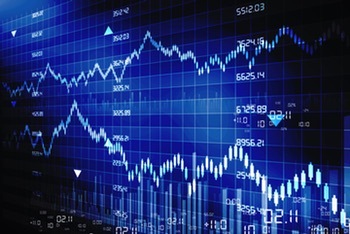 Two main types of trading signals exist: from human traders or from an automatic software, also known as a trading robot. Both can be profitable though some people will, of course, prefer trusting the human trader instead of the robot and that’s ok, but keep in mind that both have their advantages. The big advantage that the real, human trader possesses is his ability to think and analyze a bulk of information. If he uses fundamental analysis he can analyse that information also and make a decision considering all factors, where the automated software is set to follow a few, often simple parameters, and sends out signals as they are generated by the programmed trading system. However, robots have their advantages too, and that is funny enough, not having to think and feel. We all know that our human emotions are among the leading causes of trading mistakes, thus, this is the disadvantage of the human trader. The robot perfectly follows the technical trading strategy and always sends the signal on time according to the strategy. If the strategy is successful the signals will be profitable as well. The human trader can not send the signal instantly as it was generated by his strategy. He is living in Chicago working as financial advisor for many brokers and Forex websites. Copyright © 2019 BinaryEarnings.com, All Rights Reserved | WP Casino Theme by Flytonic.